Thor manages to get his own body back from Loki in "One God Must Fall!" Script by Stan Lee, pencils by Neal Adams, inks by Joe Sinnott. 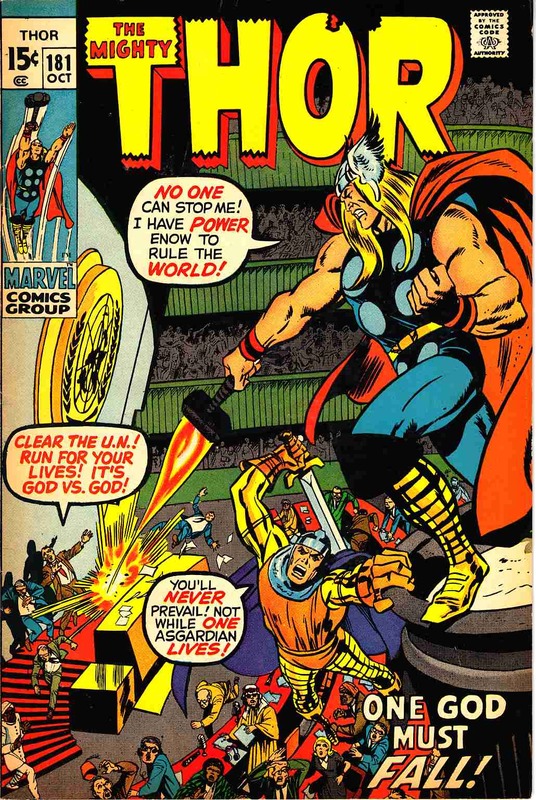 Appearances by Sif, Hogun, Fandral, Volstagg, Heimdall, Odin, Balder, and Mephisto. Cover by Neal Adams/Marie Severin, John Verpoorten, and others.